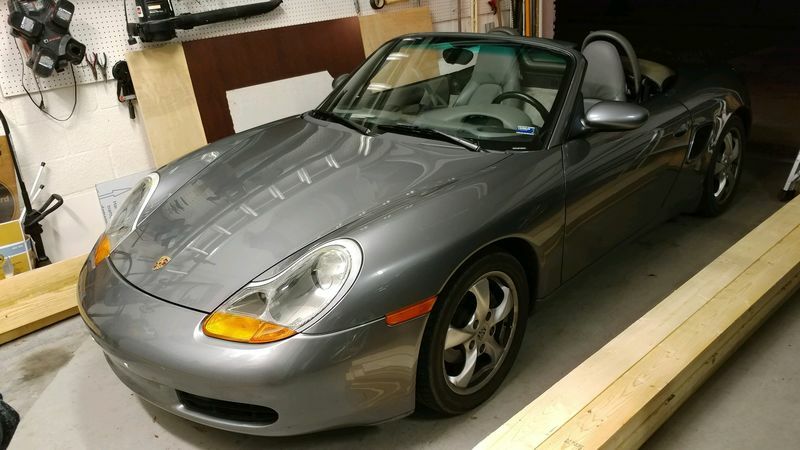 I just purchased a 2002 Boxster with 41k miles that was babied for at least the past 8 years. On my first day of ownership I drove it from Atlanta to my home in Tampa Bay. I couldn't pass up the deal, which fell into my lap, and my wife said I should do something for myself. So, I did! I've been a Porsche fan my whole life and have even visited the factory in Stuttgart long ago. Owning a Porsche has always been a lifelong goal, but had practically given up on the reality of ever owning one. Suffice it to say that I'm excited. I do have a lot to learn though and I'm looking forward to getting to know more about the car and others here. So... hello from Tampa Bay! Records show a new water pump and pulley about 1k miles ago. No word on IMS unfortunately. Is there any visual way to be able to tell if it has previously been replaced? Congratulations! Enjoy your new car...I know you will. Don't fret about IMS bearing right now, just have fun! These cars are solid. Congrats on your new addition. I picked up my new to me 2004 Boxster S in March and have had a lot of fun. Enjoy. Here's a link regarding the IMS for your listening pleasure. I enjoyed the drive home, but am honestly finding it hard not to think about the IMS issue. Sitting on a potential grenade is a bit unsettling, I must admit. Though I just bit the bullet to buy the car, I'm seriously contemplating having the IMS bearing replaced. If what I'm reading is correct, the LNEngineering part is the way to go. Do you buy it directly and take it to a shop or have the shop buy it. I know this type of work may best be combined with a clutch replacement from what I've read. I've got Tiptronic, though. So, I'm not sure if the repair work to those correlates with the clutch replacement. If I do the IMS replacement, what else is advisable "while you are in there"? I have a 2002 and while the IMSB does creep into the back of my mind from time to time I drive and enjoy driving the car. Do the do diligence, check your filter, drop the sump from time to time to see what kind of materials your engine is wearing down. Like many I'm +100k miles, having put 48k on my self. That is by no means a pass on the IMSB and I think I will do when it is clutch time. Problem or good thing is my clutch is still strong so do not know when it will be time. Last edited by kk2002s; 05-08-2018 at 06:34 AM. 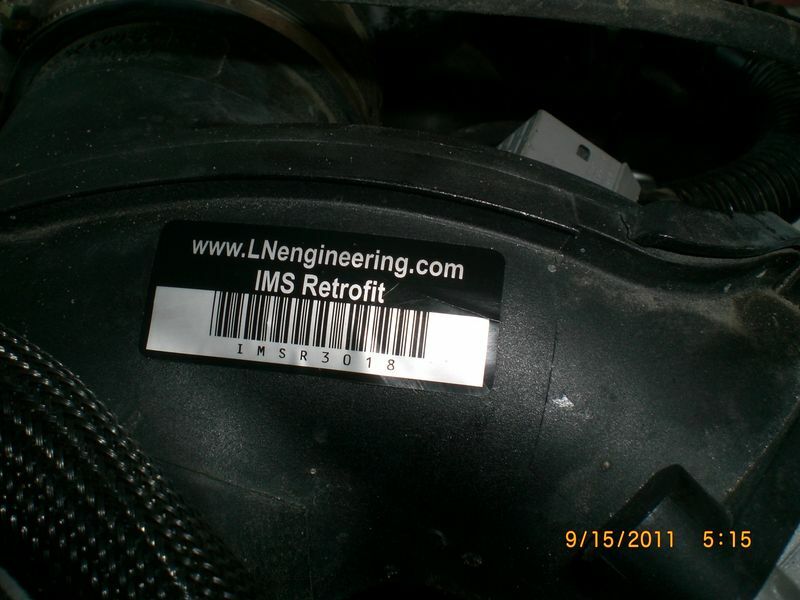 The LN bearing comes with a registration number on a sticker, if it's been done the sticker should have been placed somewhere, either under the frunk or on the door jamb etc, have a check around for one of them.